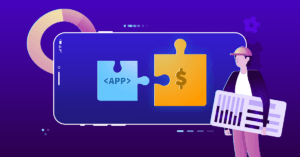 Today we have a guest post from Lesia Shyshko, copywriter at Clickky, a mobile monetization and user acquisition platform. One of the most widespread reasons for poor monetization performance is the wrong choice of mobile ad formats. App developers often don’t realize what harms their monetization efforts. In fact, mobile ads can be successfully used for driving revenue, instead of causing user frustration and increasing churn rate. If something is not going right and the app doesn’t provide enough revenue, the first step should be to review ad placements and ad formats to see if they’re sufficiently optimized. Which mobile ad formats will deliver the most profit? Even before you get to choosing the ad format and proceeding to place the ad in your application, think of the key principles of a good ad placement. Relevancy. The ad should be relevant to your audience interests, but it also needs to fit in well with your app content. Make sure that the ad doesn’t feel out of place for the user. For example, if it’s a gaming app you’re promoting, think about implementing gamification elements and adopting ads that keep up with the pace of the user interaction. Remember, your task is to monetize your app while retaining active users — which helps increase profits long term and improves your ASO rankings at the same time. UX-friendliness. The mistake many app developers make when trying to monetize their app is to clutter app with ads and place them where they interfere with user experience. It’s crucial not to cover the menu and control buttons. Try to place ads in the natural break points and transition points in the app; position ads where they don’t intrude on user experience; and always let the users close apps easily, this will prevent them from churning. Consistency. The ad placement should be consistent with the design of the application and fit into the pattern of interaction with in-app elements, such as exit buttons, access to the menu button, sound on or off, etc. Thus, users wouldn’t be confused when the ad appears and will know how to interact with it. There is a great number of ad formats available for app developers, including display, video, playable and native ads. There is no definite rule that says which ad is the most effective and which is the least; publishers should analyze different ad formats and choose those that fit best into their monetization strategy. Native Ads are optimized to fit the design and content of the app to appear as its integral part. Additionally, publishers can benefit from playable ads — an interactive ad format, which allows trying out a mobile game before downloading it; and another highly convertible format — rewarded video ads, which users can opt to view in exchange of the in-app rewards. The final outcome in app monetization depends on a number of variables, therefore an ad placement needs careful consideration in terms of the content and context of the app. However, there are certain general trends that help to make a choice. One of the metrics for assessing the efficiency of ads is the click-through rate. Banner ads can be highly efficient, even considering that this is the oldest ad format on the market. According to Clickky’s research, banner (or catfish) ads demonstrate 2.33% average CTR. Other display ad formats, like fullscreen and interstitial show 2.55% and 1.96% CTR respectively. Among top performers in display are dialog ads (8.66% CTR), rich media (3.63% CTR) and expandable banner ads (3.78% CTR). The performance and profitability of an ad format also depend on the banner size. There is a correlation between the size of the ad, the CTR it demonstrates and eCPM the publishers receive. Video ads are increasingly popular among advertisers and publishers alike, thanks to their ability to generate ROI and increase the time users spend in app at least twice. The average CTR for video ads was estimated at 0.26% in Q1 2018. Because of the efficiency and the added value of the video ads, the CPM rates for video ads are higher and reach the average of $3. Native advertising is another ad format, which can provide high eCPM rates for publishers. The top performance is attributed to the high ad quality that makes the advertising blend into the app design and content seamlessly. Comparing with banner ads, native ads deliver 3x more time and attention of the users to the ad. According to some estimates, the CPM rate for native ads can reach up to $10. Because video and native ads require more time for development and generally cost more to produce, for publishers, it’s harder to fill all ad placements with quality, high-performing ads in the relevant category. That is why a combination of display ads, video, native, along with interactive ad formats like playable ads, is the most effective strategy for balancing lucrative ad formats with fill rates. The competition for the user is fierce and publishers already face the major problem of balancing monetization and user retention rate. It’s clear that the search for newer, innovative mobile ad formats continues. Publishers need ads that would entertain, engage and provide value to entice user to return to the app. While the perfect ad is still in the making, optimizing ad placements and formats is crucial for publishers to make their apps more lucrative. You can do that by learning more about ad formats, implementing and testing them with your monetization partners and measuring the results.